This was done in 2014, but I just found it. Bad timing considering all the signs on the freeways that were just installed as part of the DFW Connector project include BUSINESS 114. 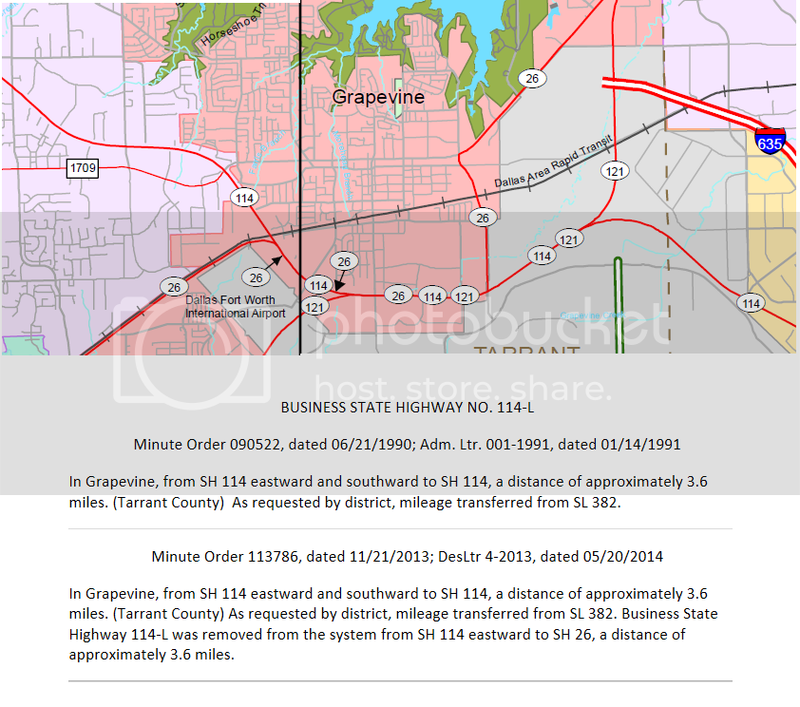 I've always thought that the portion of SH 26 NE of Grapevine should have been given a SPUR # instead of being part of SH 26. But, now that this has been done, they could decommission it also. It would need to be given a street name since it does not have one. That name could be extended over the former BUS 114 since "Northwest Hwy" is no longer a logical name for it, and hasn't been ever since the 60's when it was bypassed.